Two of South Africa's most famous archaeological sites, Sibudu and Blombos, have revealed that Middle Stone Age groups who lived in these different areas, more than 1 000 kilometres apart, used similar types of stone tools some 71 000 years ago, but that there were differences in the ways that these tools were made. 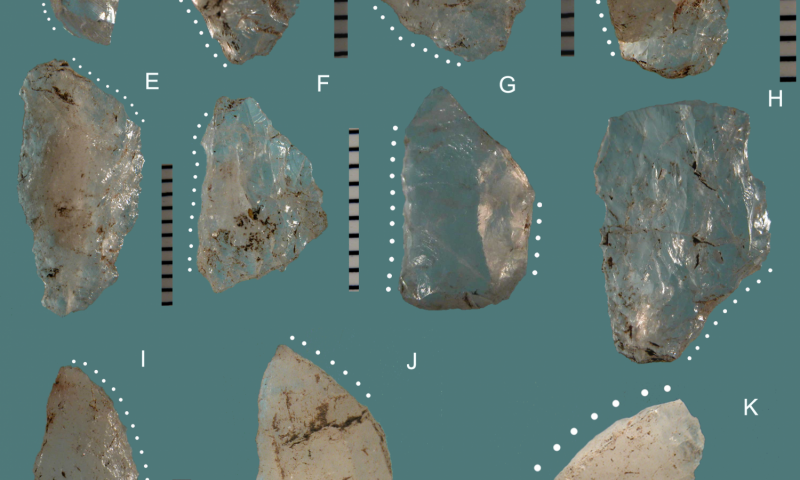 "This was not the case at 65 000 years ago when similarities in stone tool making suggest that similar cultural traditions spread across South Africa," says Professor Lyn Wadley, archaeologist from the University of the Witwatersrand, Johannesburg. The team also includes Wits University's Professor Christopher Henshilwood, as well as lead author Sylvain Soriano (France), Paola Villa (US), and others. The researchers undertook systematic technological and typological analysis on two types of Middle Stone Age assemblages - Still Bay and Howiesons Poort - from two of the most famous archaeological sites from this time period in South Africa, Blombos Cave in the Western Cape and Sibudu in KwaZulu-Natal. At these sites we find much of the archaeological evidence for the origins of modern human behaviour. In agreement with results of previous studies of broadly contemporaneous Howiesons Poort assemblages by other analysts, the researchers' analysis argues for some uniformity in this cultural entity among sites spread across a vast region from the Western Cape to the Free State and KwaZulu-Natal. Despite the use of different rock types in each site, Howiesons Poort craftsmen follow the same pattern to knap stone. 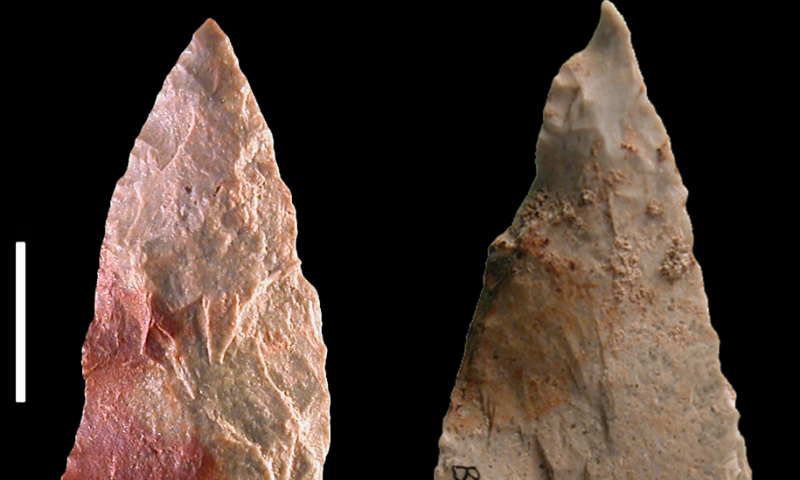 Small blades were produced and used as blanks for "penknife-like" backed and pointed tools, hafted and used both as cutting devices and composite elements of hunting weaponry. When watching such kind of artifacts I wonder what tools have at the beginning the flood survivors inhabitants of Earth to get food and process the necessary belongings. Must be pretty advanced to build a ship large enough to carry 2 of each species currently present on earth. How would the survivors feed themselves? what about the animals that survived?. A worldwide flood for 40 days is going to destroy all ecosystems that had been present and leave nothing for anything but the scavengers that can eat rotting decaying dead matter. The only reason which explains why we have wonderfully preserved fossils today is the flood. There is no other way to preserve such many organisms from predators, scavengers, and natural rotting thanks to the microorganisms. Why did so few form when all the animals on earth died except for two of each? The populations were massive for many yet we find so few. Well. Except the countless species no longer around that for some reason god didn't see fit to survive on Noah's ark. so pigs only went in two's, but the clean animals went in SEVENS, something ignored by biblical idiots still today! that was one HUGE ship which, per the measurements, dwarfed the largest wood ship ever built by at least a multiple of 4, but closer to 7! let them first explain the whole "by two's" stupidity when their own book says by SEVENS... then lets get them to explain dispersal and physics of the ship! then why is there absolutely NO evidence of a flood in the geological record? when it flooded, did it also drown the sharks, porpoises, fish and other aquatic life? why is it that you religious nuts can't even get your own biblical proclamations correct? WHY is it that the geological record contains fossils, but cannot support the flood myth with a HUGE abundant record of fossilized drowned (preserved) animals like the other recorded fossils? we can map other historical extinctions... why can no one find the flood event? why would your god lie so much to you about it, too? it will make you stand up and say WTF... especially considering that the animals went in sevens, not two's! again, the KJV and bibles from even older sources show, per GEN 7:2 that the animals went in pairs of SEVEN... SEVEN male and female of each clean animal, which outnumbered the "pig" type unclean animals by at least 3:1! !